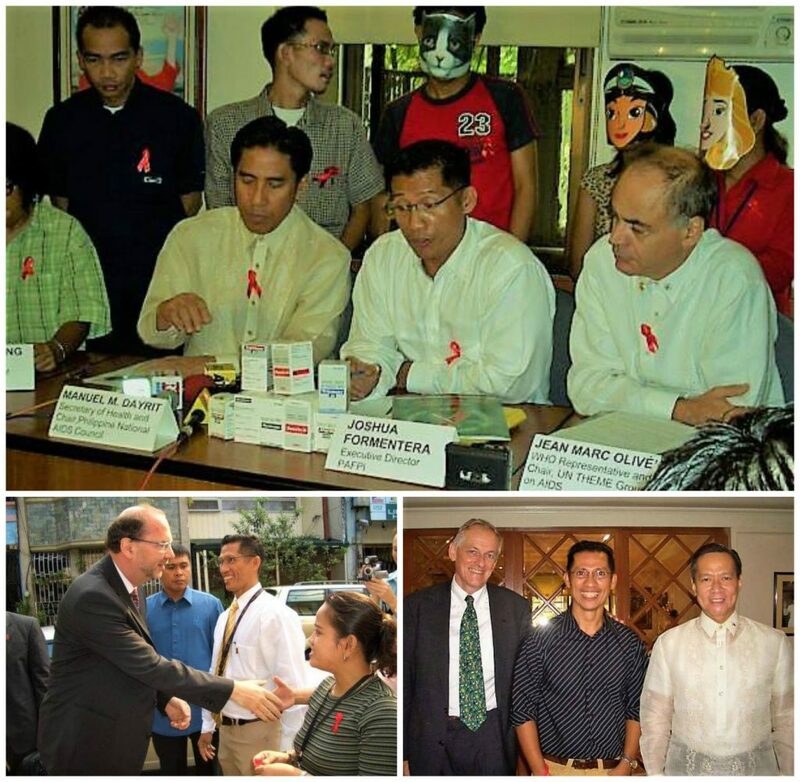 Positive Action Foundation Philippines, Inc. (PAFPI) was established on September 1998 as a result of the needs assessment on care and support for HIV AIDS, which was attended by 20 concerned individuals including Joshua C.T. Formentera who later on became PAFPI’s President and Chief Executive Officer. The assessment resulted to the identification of the need for access to care, support and treatment services for people living with HIV and AIDS (PLHIVs). On March 23, 1999, PAFPI gained its legal identity through its registration at the Securities and Exchange Commission (SEC) with registration number A199902514. From being a volunteer’s group, PAFPI has evolved into a service-oriented organization as it gained the trust and confidence of PLHIVs and their families. PAFPI’s success are from members which are HIV AIDS PLHIVs themselves. One of the foremost reason for its success is that some members of their staff are PLHIVs themselves, and this gives them a deeper understanding on the plights of PLHIVs, their families and significant others. Hence, peer-to-peer education support is one strong integral service that empowers PLHIVs by encouraging them to become productive members of the society. PAFPI also extends trainings, seminars and conferences that will capacitate PLHIVs to stand on their feet and go back to work. The organization also extends counselling to affected family members and their significant others. Peer educators and PAFPI volunteers also conduct home visits to provide psychological support and care of HIV AIDS related symptoms at home. PAFPI also engages their staff and members in its advocacy and prevention projects, or train them to become peer educators, or public speakers so that they may provide testimonials during various HIV AIDS related activities. In fact, there’s a positive speakers bureau that was composed of members and advocates who are working in the HIV and AIDS advocacy. The scope of PAFPI’s services also extend to providing HIV AIDS related services like pre-departure orientation seminars for contract workers abroad or overseas Filipino workers. It was recognized, however, that PAFPI’s primary mission is to facilitate responses to the need of PLHIVs, yet it faces limitations in administering and distribution of HIV AIDS drugs and treatment. Lastly, PAFPI keep a strong referral system to other non-governmental organizations, medical institutions like treatments hubs, clinics and other related organizations. Forging strong ties with other institutions will help members to have access to free, or subsidized drugs and treatment. In terms of funding, it seeks funding and grants from various institutions and organizations to help gather enough funds for the sustainability of its projects and programs. PAFPI also facilitates informal procurement of generic antiretroviral (ARV) medicines from India, which provided a wider access to ARV drugs amongst PLHIVs in the Philippines. Lastly, PAFPI established a drop-in center called Bahay Kalungan that aims to provide temporary shelter to PLHIVs. The shelter also provides as a venue for the various PAFPI activities and trainings like counseling, care of common minor illness and symptoms at home, supporting positive behavioural change and peer education. Now, after more than 15 years in operation, PAFPI has become one of the driving force in HIV AIDS advocacy in the Philippines. Needless to say, it has honed a strong sense of volunteerism in the pursuant of its commitment to provide a quality care, support and treatment services for PLHIVs.